Ancient relics--stone tools, bones, footprints, and even DNA--offer many clues about our human ancestors and how they lived. At the same time, our kinship with our human ancestors lies as much in their sense of humor, their interactions with others, their curiosity and their moments of wonder, as it does in the shape of their bones and teeth. And the evolution of human behavior left no direct fossil traces. Children of Time brings this vanished aspect of the human past to life through Anne Weaver's scientifically- informed imagination. 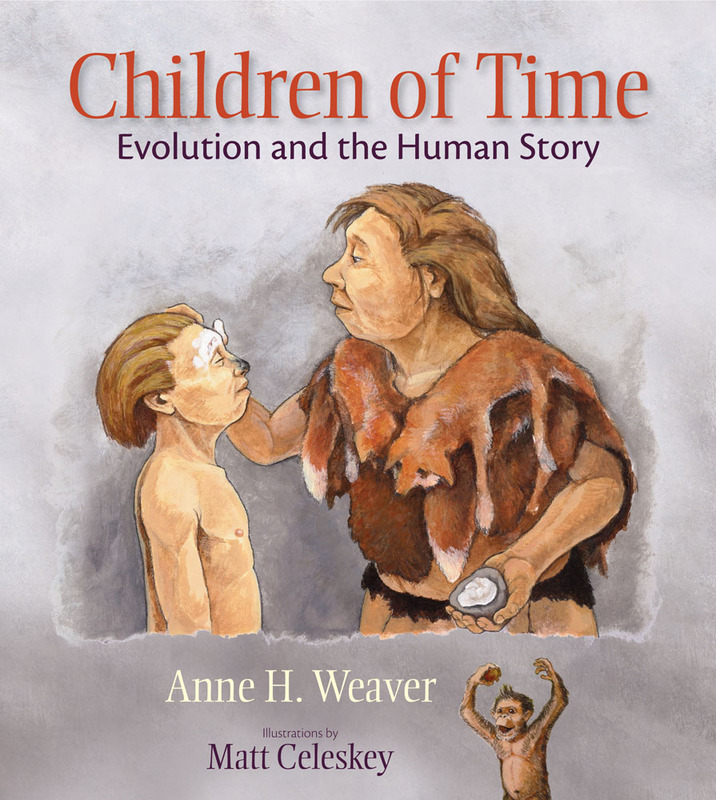 The stories move through time, following the lives of long-ago hominins through the eyes of their children. Each carefully researched chapter is based on an actual child fossil--a baby, a five-year- old, a young adolescent, and teenagers. The children and their families are brought to life through illustrator Matt Celeskey's vividly rendered paleoenvironments where they encounter saber-toothed cats, giraffids, wild dogs, fearsome crocodiles, and primitive horses. Their adventures invite readers to think about what it means to be human, and to speculate on the human drama as it unfolds in many dimensions, from social organization and technology to language, music, art, and religious consciousness. Visit the website at www.children-of-time.com. Matt Celeskey is a natural history illustrator whose work has appeared in numerous exhibits and publications. He is currently an exhibit designer at the New Mexico Museum of Natural History and Science.